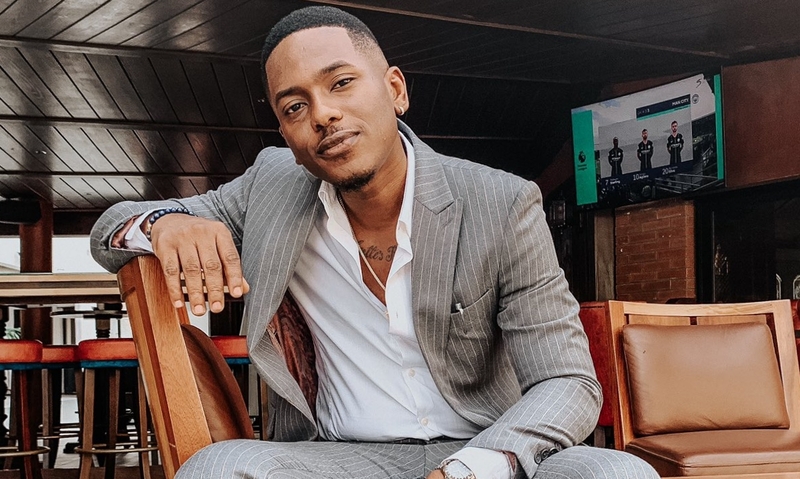 His MTV Shuga days may be behind him but Timini Egbuson is still dressing like the sartorial savant he is meant to be and how he was cast on ‘Skinny Girl in Transit.’ This week the 31-year-old Nigerian actor blessed us on Twitter with photos of him rocking one of the coolest suits we’ve seen in a while. Egbuson absolutely nailed it in a smoke grey pinstripes single-breasted blazer paired with a matching pair of pants and black leather loafers with gold details. 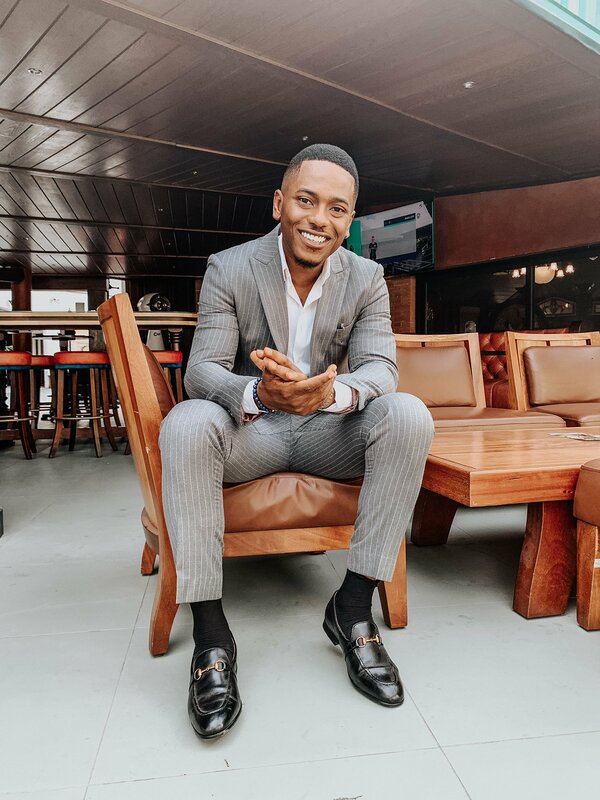 Harking back to English influence on his style, Timini Egbuson’s laid back blazer look was highlighted with a crisp white shirt with a few buttons undone. Think of it as Britain with a touch of L.A.
Now, if you’re going to try this impeccable look for yourself you’ll need to have the outfit laid down and well planned to match everything down to your complexion. Pay attention to how the blazer and pants are cut so that there’s no excess length bunched up at the sleeves and feet. The blazer, once the button is undone holds sharply but not overly swaying. It also sits nicely over Egbuson’s shoulders. You can’t have a winning look without a winning timepiece and the appropriate accessories. Egbuson’s choice of wrist wear is a silver analogue wristwatch and a reflective blue beaded bracelet. He’s also wearing a silver necklace which helps to draw focus to the top half of the outfit. 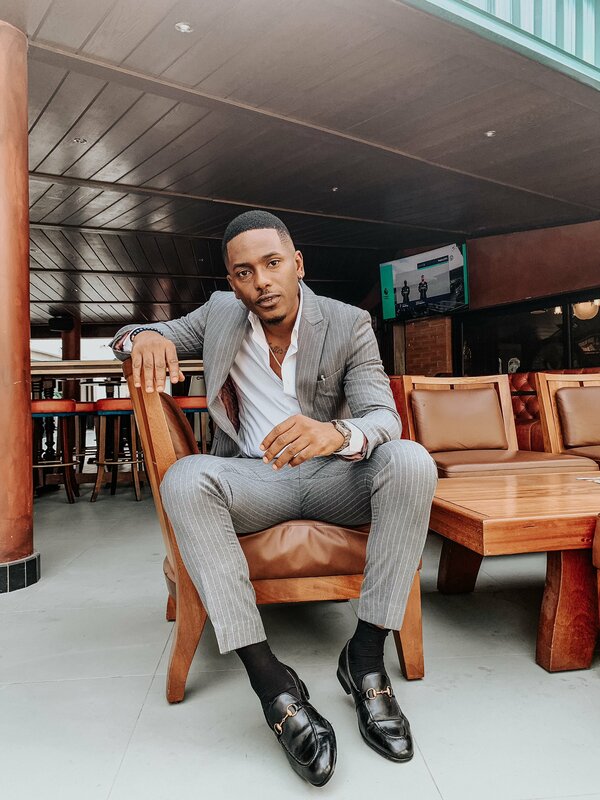 This look further adds accolades to Timini Egbuson’s effortless style we’ve come to love. And if you need proof that he is one of the best dressed Nigerian male celebrities, here it is.